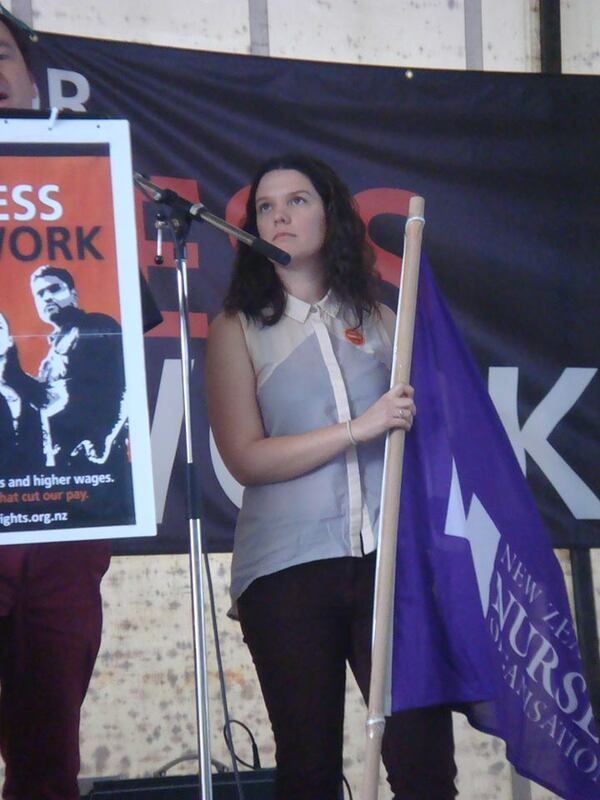 Danielle Davies is a new NZNO organiser in Wellington. She writes about her journey from NZNO member to delegate to organiser. I knew from a young age that healthcare was a precious taonga. My parents impressed on me that each check up with the doctor, each visit to the dentist- was a significant benefit that I was able to access because of the union which my Dad was a member. My Dad was one of the thousands of construction workers who migrated from New York to California during the construction booms of the 1970s. As construction work is a physically demanding job which regularly places workers in vulnerable situations, my Dad’s union bargained for comprehensive benefit packages for employees and their families; benefits which, outrageously, Americans do not have as basic entitlements. The battles the union fought for ensured that his overtime was paid, that his hours of rest were protected and that his family’s medical and dental costs were covered. Growing up with this exposure, I became aware of the link between collective action and collective good. My own union journey began shortly after commencing work as a Staff Nurse at Wellington Hospital. The previous ward delegate was planning an OE and had taken notice in my interest in all things union! A handover and election quickly followed and, before I knew it, I was a ward delegate. I believe that becoming a NZNO delegate made me a better nurse. Not only was I responsible for my own nursing practice with my patients, but also responsible to my fellow members to resolve workplace issues, to educate on rights and responsibilities under the MECA and to promote collective participation with NZNO campaigns. It was not long after I took up the role of delegate that I noticed an increase in my colleagues approaching me about employment matters, from sick leave conditions to roster patterns, from payroll matters to NZNO campaigns. 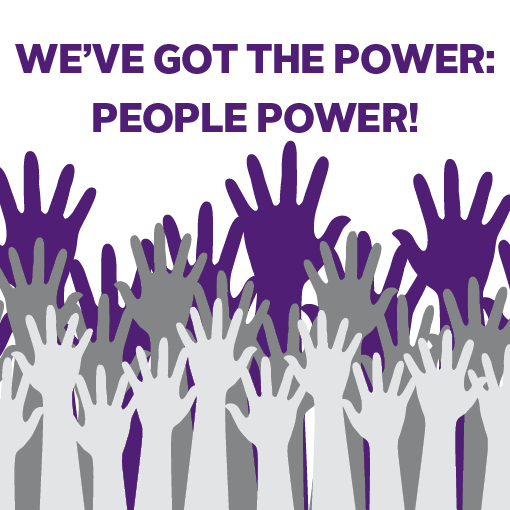 Being able to resolve matters at the delegate level, and increase members’ knowledge of their rights and collective power was hugely rewarding. This week I commenced my new role as NZNO Organiser for the Wellington region. My role has shifted my professional duties from caring for patients at the bedside to caring for nurses. I have a great passion for nursing and believe that together we can achieve great outcomes. As ever, I feel proud to be a part of NZNO: Freed to care, proud to nurse! Tags: advocacy, collective action, delegate, election, NZNO, NZNO Organiser, organiser, Wellington | Permalink. Georgia Choveaux is the StandUp representative on the CTU Women’s Council and an organiser at NZNO. She wrote this yesterday – the day women in New Zealand started working for free. I’m furious because from today for the rest of the year New Zealand Women are working for free. Hold on one moment … I will explain. Right, so based on the average hourly wage rates for men and women, women earn on average 14.1 percent less a year. * Yes 14.1 percent less. In other words New Zealand women work 51 days a year and don’t get paid for it. And our 51 days start today. Now before you even go there, let me set you straight. The pay difference can’t be explained away with a difference in qualifications or education. Research undertaken by the Ministry of Women’s Affairs in 2010 showed a 6 percent gender pay gap for graduate starting salaries. So the gender pay gap often begins with a woman’s first job, irrespective of the field or education level. 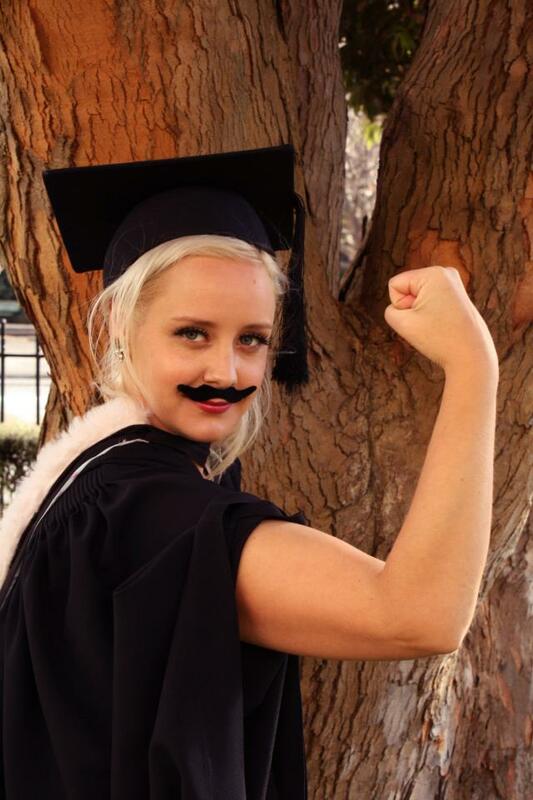 I was so angry about the fact I would be paid less than a male graduating with the same degree I wore a moustache to my graduation. I’m not even kidding. But that is just the start of the pay inequity journey I, as a newly graduating woman, will experience. According to the same Ministry of Women’s Affair’s research, within five years the gender pay gap for graduate starting salaries will increase to a substantial gap of 17 percent. Now that is a whole new level of irritation. So anyway, today I’m inviting you to get angry about the gender pay gap. But I’m also telling you there is hope. Kristine Bartlett won a stunning victory in the Court of Appeal just two weeks ago which could smash one of the reasons our gender pay gap is so disgraceful. Kristine Bartlett, with the support of SFWU and NZNO, won for all New Zealand woman a ruling which confirms there is legal obligation to ensure equal pay for work of equal value and that means that as well as women getting the same pay as men for the same job, women should get the same pay as men for doing a different but comparable job – that is, a job involving comparable skills, years of training, responsibility, effort and working conditions. Finally, I’m inviting you to take action. And make sure you always belong to a union, because the same good folk who bought you many of the employment rights we take for granted today are fighting hard for equal pay and together we will win. ** Also worth noting it is the average hourly rate we are comparing not annual earnings so the fact that women are disproportionately in part-time or casualised employment doesn’t explain away this shocking figure. Tags: discrimination, equal pay, gender pay gap, women | Permalink. 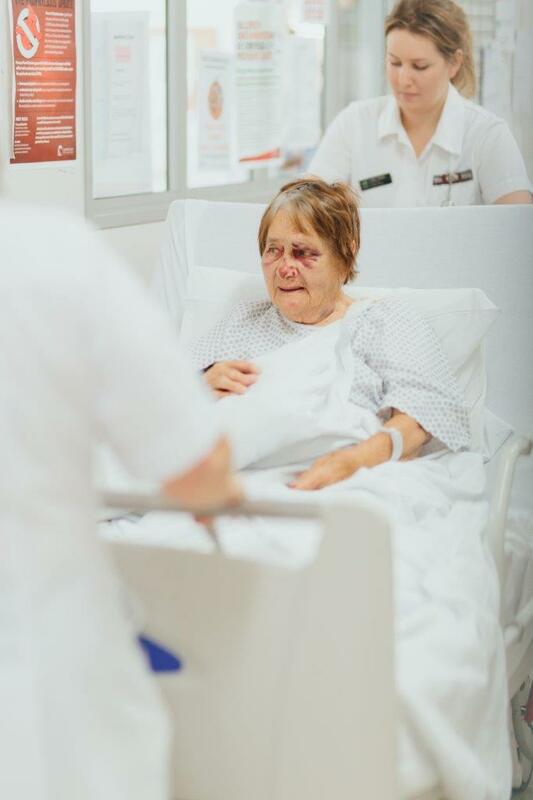 A serious adverse event is one which has led to significant additional treatment, is life threatening or has led to an unexpected death or major loss of function. District health board (DHB) providers are required to review these events and report them to the Health Quality and Safety Commission. Over the past year 454 serious adverse events were reported; more than one a day. 248 (55 percent) of these events were falls that resulted in serious harm – fractures, serious wounds and serious head injuries. We’re concerned about this for many reasons. Each one of these ‘events’ happened to a person, a family, a community. Each event will have caused considerable pain and suffering, loss of mobility, confidence, independence and increased length of stay in hospital, along with the increased costs that go with all those outcomes. Every member of the nursing team caught up in a serious event will also have found the experience very distressing. Nobody ever goes to work expecting that a serious event is going to occur on their shift, and nurses only ever want the best outcome for their patients. NZNO is also concerned about the overall increase of events since the last report – especially in those events that are considered nurse sensitive outcome indicators – pressure areas, infections and falls. The number of falls reported has gone from 56 in the 2008 report to 248 in 2014; a staggering increase that cannot be attributed to improved reporting alone. The fact of the matter is that for all of those falls which caused serious harm, there will be numerous others that don’t meet the severity threshold, so do not appear in the report. There will be even more that are not reported at all. So what might be contributing to this alarming trend? We are aware of changes to DHB policies in regard to specials and watches – these are expensive and need special approval. Are they not being approved when they should be? We know that older adults are coming to us more unwell and with complex needs. Is it increased acuity that is contributing to the increase in serious adverse events? Nurses are telling us that they are stressed at work – finding it challenging to meet patients’ needs. Sometimes bells don’t get answered in time… serious accidents can result. Are staffing numbers and skill mix not adequate to meet patient demand? And if that’s the case, we have to ask, why not? We believe that health services must be funded appropriately, so every patient receives the care they need, when they need it. And so every member of the healthcare team can go to work knowing all the supports and resources are in place to provide excellent care to every patient. More needs to be done to investigate why and how serious adverse events occur and steps put in place so they no longer happen. If that means extra funding and a different number and skill mix of staff, so be it. Tags: falls, funding, HQSC, NZNO, safe staffing, serious adverse events, Stress | Permalink.